The Association of Democratic Reforms (ADR), which analysed the affidavits of 193 aspirants out of a total of 196 candidates, found out that 114 candidates are crorepatis. 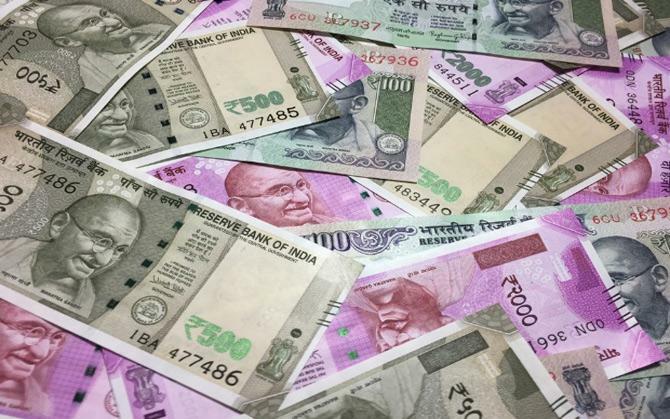 Fifty nine per cent of the candidates for the February 27 Assembly elections in Nagaland are crorepatis with JD(U) nominee Ramongo Lotha being the richest among them with a total wealth of Rs 38.92 crore, an analysis of the affidavits revealed. The Association of Democratic Reforms (ADR), which analysed the affidavits of 193 aspirants out of a total of 196 candidates, found out that 114 candidates are crorepatis. The findings were announced by Hekani Jakhalu of YouthNet Nagaland, a prominent youth organisation, at a press meet here yesterday. The affidavits of three candidates could not be analysed as their affidavits in the public domain of the Nagaland Chief Electoral Officer was not at all clear, Jakhalu said. Lotha, a retired IAS officer, has movable assets worth Rs 22,81,960 and immovable assets at Rs 38,69,40,000 taking his total wealth to Rs 38.92 crore, the ADR analysis said. The JD(U) nominee is contesting the elections from Sanis seat in Wokha district. Akavi N Zhimomi fighting from Ghaspani-I assembly seat in his affidavit has shown nil movable and immovable assets, the analysis said. Nagland Chief Minister TR Zeliang contesting on Naga People's Front (NPF) ticket from Peren seat has declared in his affidavit that his total assets (both movable and immovable) are worth Rs 3.52 crore, it said. Former three-time chief minister and NDPP nominee from Northern Agamai-II seat Neiphiu Rio has movable assets worth Rs 15.37 crore. Another former chief minister K L Chishi has total assets of Rs 38.20 crore but he also has the highest liabilities among all the candidates at Rs 89 lakh, the analysis said. The other candidates with meagre assets are T Ngampai, Chinkai Konya and K Kiko Konyak, Jakhalu said. Ngampai is the Congress candidate from Phomching seat and has total assets worth Rs 5,000, the analysis said. Konya, the NPF nominee from Tehok seat, has total assets of Rs 10,000 while K Kiko Konyak, the NDPP candidate from Moka constituency, has total assets of Rs 20,000. While 46 candidates have assets valued at Rupees five crore and above, 42 aspirants have assets at Rupees two crore and above, the analysis said. Sixty nominees have assets worth Rs 50 lakh and above, 26 aspirants have assets at Rs 10 lakh and above and 19 are in possession of assets valued at less than Rs 10 lakh, it said. Altogether 27 candidates have not declared their sources of income in their affidavits, Jakhalu said. The ADR analysis also found three candidates have declared criminal cases against themselves. The candidates are one each from the NPF, NDPP and BJP. While three candidates are illiterate, 16 candidates are class-8 pass and five are doctorates, the analysis said. Only seven candidates are between 25 years and 30 years, 29 candidates are between 31 years and 40 years and the rest are above 40 years.